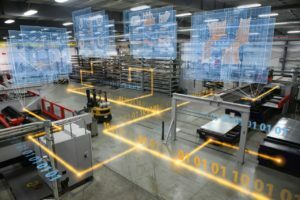 Manufacturing Execution System software enables companies to plan, monitor and track all steps within the manufacturing workflow for any given order. This is made possible by the inter-connectivity of machines and the real-time data generated by each machine. The use of MES software has greatly enhanced the ability of manufacturers to dynamically respond to changes in orders, prioritization and workflow capacities in maintaining production schedules. The new Bystronic MES, powered by Lantek, reduces order cycle times, increases efficiency and profitability and contributes to customer satisfaction by managing jobs, machine resources and delivery schedules.